Suggest, suggest, suggest. It’s not about pushing menu items on customers, it’s about recommending items that will enhance their dining experience. 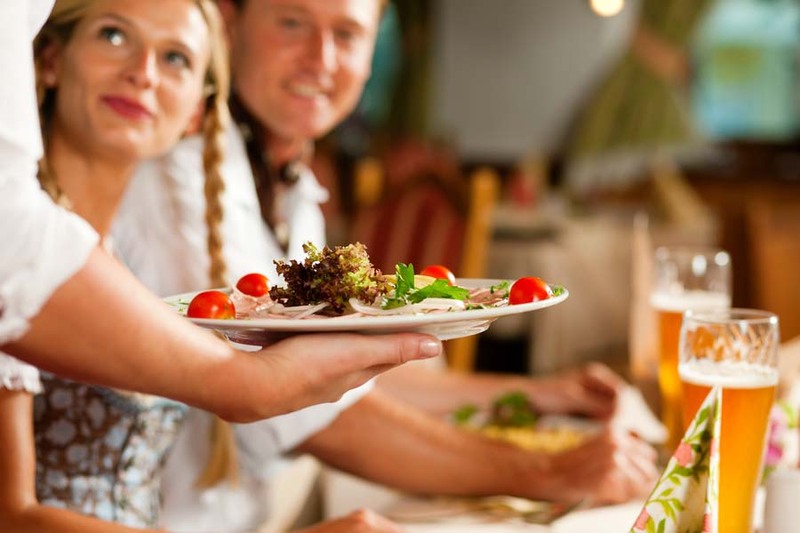 By telling a customer about your favorite dishes and making pairing recommendations, you’ll improve the level of service you deliver… and you’ll create guest loyalty. After all, most menus have over hundred items to choose from and most guests appreciate a little guidance! Let the food sell itself. When you describe items well, you sell those items… without any direct sales talk. Listing ingredients, telling guests how the chef prepared the dish and describing those details with vivid language gets the guest excited about the dish… and gets you the sale. Ask questions. Sometimes just asking if a guest has any questions will easily open up the conversation for you to recommend items and add-ons. Then, ask your own: uncover preferences and make recommendations that will best please your guests. Relax. The main challenge most salespeople have is to convince a customer to buy something. You already have a customer that you know is going to buy something. Your job is just to help the customer find what he or she will really enjoy and to create an entire dining experience. Be sincere. Customers can tell when you’re trying to “sell” them or “serve” them. If you don’t genuinely want to make customers happy, you shouldn’t be in the hospitality industry!